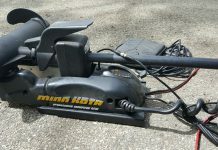 Minn Kota products consistently set the benchmark by which other brands are compared, and the Traxxis series trolling motors enhance Minn Kota’s reputation for quality and performance. This highly rated transom-mount trolling motor is selected most often for its ease of use. 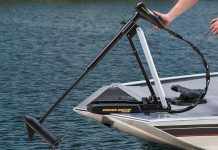 The Traxxis features a one-hand stow and deploy mechanism that allows you to get the motor quickly into the water to position and troll and out of the water when fighting a fish or firing up the gasoline engine to head to another spot. 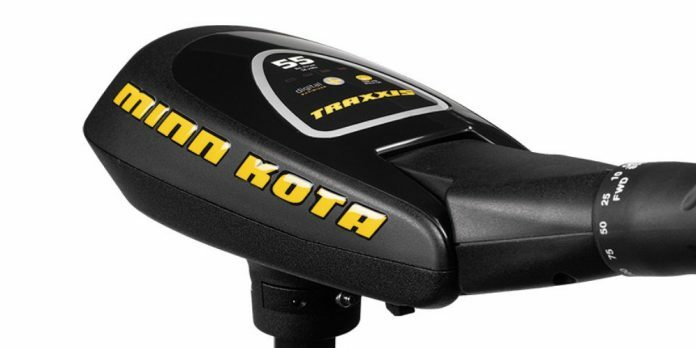 In this Minn Kota Traxxis review, you’ll find the top features this motor offers, pros and cons of the Traxxis and an overview of the models available. Here’s a look at what this dynamic, if expensive, trolling motor delivers. One-hand stowage – Deploying your trolling motor easily with one hand means you don’t have to set down your rod to chase a fish swirl or move to the next weed bed. To remove the motor from the water, you simply grasp the control body and disengage the latch with your thumb. 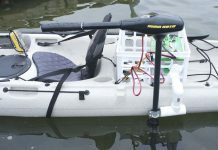 Pulling up and toward you lifts the motor to a horizontal position as it smoothly rotates over the transom. The motor can be lifted to one of ten different positions for travel. Steering tension control – The tension-control collar can be set as tight as you want it. If you do a lot of maneuvering, keep the collar loose. When you want a straight line, tighten it and enjoy hands-free trolling. Tension levels in between give you the steering performance to fit your comfort level and the conditions being encountered on the water. 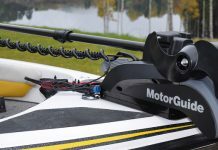 Tiller tilt and extension – This feature gives you greater versatility in controlling the Traxxis trolling more. It tilts up to 45 degrees when you’re standing and back to horizontal when you’re sitting. The tiller extension is just six inches, but it does increase comfort and versatility. Depth adjusting quick-lock cam – Propeller depth on many trolling motors is set by loosening a screw, making the adjustment and tightening the screw again. The cam opens easily and closes in one quick motion to allow you to adjust depth in a fraction of the time. It holds the propeller quite securely when closed, so it slipping to a lower depth shouldn’t be an issue as it can be with traditional screw-type depth adjusters. Extended run time with Digital Maximizer – This feature makes the most of the variable-speed Traxxis motors. The Digital Maximizer allows you to set the level of power delivered to the motor and thereby adjust its speed. This Traxxis trolling motor feature is used to best advantage when you want to fish an area very slowly. Set the speed accordingly, and be freed from having to turn the motor on and off to regulate how quickly you pass through the fishing zone. When the device is set to higher power, run-time extension is diminished. Propeller options to fit fishing conditions – The Traxxis Weedless Wedge 2 is designed with flared blades that move easily through heavy growth. It spares the motor from wasting its energy chopping weeds. The Traxxis Power Prop maximizes thrust and speed, so you don’t waste time getting to the next likely fish location. Note that most units don’t come with both propellers. You must choose the one you prefer, and if desired, buy the second separately. Composite shaft – Minn Kota’s composite shaft is lighter in weight and yet stronger than comparable steel shafts. It also has greater flexibility, so it is more forgiving should the propeller head hit anything. Composite is corrosion-free, too. Battery meter – Push the button located on top of the motor control, and you’ll see how much battery life you have. It’s that simple. Two-year warranty – Minn Kota’s warranty is comparable to other best-selling trolling motor brands. Here are the advantages and disadvantages of this product. 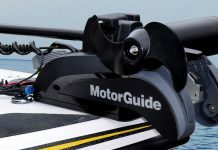 They’ll help you compare the Traxxis to other trolling motors you’re considering from Minn Kota, Newport Vessels, Goplus and other top brands. 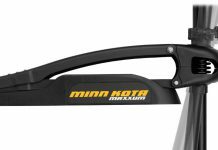 The Minn Kota Traxxis price is about $300 to $700 depending on the model you choose and, for the Traxxis 55, the length of the shaft. As you compare trolling motors, you’ll find the Traxxis to be on the high end of the cost spectrum. The extra cost is balanced by what many believe to be premium quality and performance. If you only use your trolling motor a few times each fishing season, a more affordable product will be a more cost-effective choice. For those looking for a workhorse motor with excellent reliability, the Minn Kota Traxxis series trolling motors are worth the extra expense.